Marks and Spencer are to re open in Paris after 10 years. 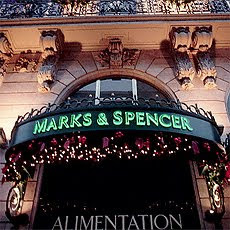 Ten years after its hasty retreat from France, Marks & Spencer plans to open a new store in Paris. M&S have over a 1,000sq m store on the posh side of the Champs-Elysées. Alas, this will not bring the joy British expats have longed for. Although Paris is still the food capital of France the childhood tastes of the British will never be removed. The departure of Marks and Spencer’s in 2001 left food cravings only satisfied by meagre supplies of non perishable foods including marmite to the Paris branch of WH Smiths. When M&S retreated from Paris in 2001, a "book of condolences" was opened by the angry staff. It was signed by thousands of French people as well as British expats. For Six months the two Paris city centre shops were besieged by French customers clawing in stocks of baked beans, tea, soup, cakes and apple pies. London headquarters of M and S changed its mind when it found that Parisians were buying packets of dried flowers to make herbal teas? The first translations, supplied from London, however caused problems. M&S marmalade was declared to be sans préservatifs, or in French, "without condoms". Marks and Spencer currently has no plans to sell the British sausage on the most beautiful avenue in the world. The new store will be restricted to the "higher ranges" of M&S clothing and underwear. Good plan, what Paris needs is more pants shops. Both the British expats and the Parisians want their share of M and S foods back and there is a market for it. There is nearly always an English food section in the chain supermarkets of France. It’s not quite the same but salad cream and curry are to be found there and have their place, so how much greater the experience of an M and S Banger for breakfast. How to make a sausage roll quickly?